Welcome to the Pacific Palisades Republican Club Web site. Our Club (PPRC) is committed to promoting and supporting the ideals and principles of the Republican Party. We campaign for Republican Candidates in the Greater Los Angeles area, as well as State and Federal Republican Candidates. Join us!! Together we can make a difference. 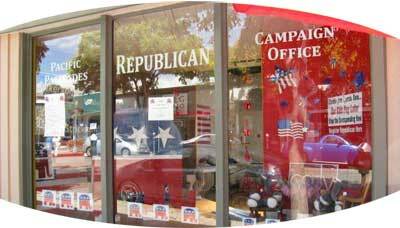 We encourage you to become an official member of the Pacific Palisades Republican Club by paying dues annually. You can charge your dues online, here on the website! Your dues and donations enable the club to sponsor our Guest Speakers Program. We want to keep the Palisades Republicans engaged, educated and supported! We will not give up. Help us to win back California. Thank you for checking out our website. Please contact us for more information about the Club. Copyright © 2017 Pacific Palisades Republican Club. All Rights Reserved.